Our newest guide will help you better understand why smoking is particularly bad for men and show you the health and lifestyle benefits to quitting smoking whatever your age. So You Want to Quit? You’ll increase your odds of successfully stopping smoking by up to four times if you get the right support. 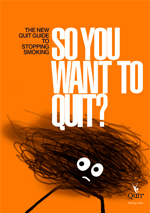 The Latest version of the QUIT© guide to stopping smoking gives you a step-by-step guide on how to quit for good. 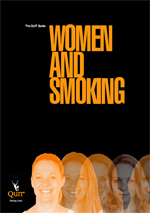 This guide will help you better understand why smoking is particularly bad for women and show you the health, lifestyle and cosmetic benefits to quitting smoking whatever your age. We all know that smoking is bad for us. But sometimes it is easier to believe the various myths and half-truths that surround smoking than to accept that it is time to quit. 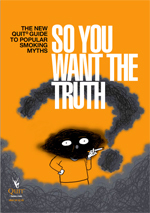 Here we expose some of those myths and give you the true facts about smoking and quitting. 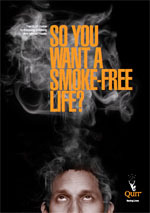 So You Want A Smoke-Free Life? People with mental health problems are twice as likely to smoke as the general population and are often heavy smokers. 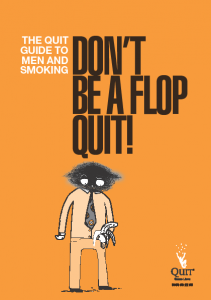 This guide has been produced to give you helpful advice on how to quit successfully.